Saving money can be such a challenge for most of us. When it comes time to buy a home or invest in real estate it can become even more of a struggle. With mortgage financing, we must be sure to keep our debts low, while having enough assets on hand to get our loan approved. We will need to consider the budget for new mortgage payments while paying of credit card or consumer debts each month. AND we must be mindful about putting money away into a 401K or other investments and maybe having a little extra to enjoy life. Below are 7 simple rules for saving your money and paying off debts. Following these rules will make it easier to get where we’d like to be financially before taking the steps to get your dream home. Most places of employment offer direct deposit. Use that to your advantage. Set your direct deposit up for a portion of your paycheck to be deposited into several different accounts. One for your 401K, another into a savings account for the purpose of emergencies, also an account to save for home projects, vacations, etc. Then, set up your bills to be paid automatically. It would be beneficial to check with your loan holders to see if that would be an option. Ultimately, it comes down to this: if you can’t see the money then you won’t have the temptation to spend it. Should you start paying down debt or saving first? Which debts should you start with? You need to know how to prioritize and compare the numbers. First, start by checking the interest rates on your loans and credit cards. The higher the interest rate, the more of a priority that should be to pay off. Save any extra money you get. Tax return? Put that into savings! Get a raise at work? Automatically deposit that extra percentage into savings each month. Eventually, you will have enough in that account for a nice down payment on your home. Where do you want to be in 5 years? 10 years? 20 years? Owning your own home? Not drowning in debt? Studies show if you imagine where you’d like to be in the future that will motivate you to take the necessary steps for the purpose of achieving those goals. Take a good look at your finances and what you spend money on regularly. Do this with the intention of determining what can be dropped or scaled back on. Maybe a gym membership that you pay for monthly and only go once every 3 months or so. Another common unnecessary expense is cable TV; streaming services are cheaper, and they have a great selection. Additionally, rather than getting a coffee at Starbucks every day, make your own coffee at home. You may be surprised to know that could save over $100 a month. Also, eat meals at home instead of going out to eat. Even dropping one expenditure mentioned will make a huge difference on your bank account. You can’t live your life to save and pay down debt. Every now and then you need a reward for all your hard work. Use that as a motivation to save. Got a bill paid off? Get yourself something! Reached your goal on an amount of money you wanted to save? Treat yourself! Be sure to make these rewards sensible, but you could be getting perks while saving and paying off bills. Take a good look at your credit card rewards, it may surprise you what they offer. There may be an opportunity for you to receive a percentage of what you spend in cash back. Who wouldn’t benefit from that? Make sure your bank account doesn’t charge you a monthly maintenance fee. If it does, research how to waive it or get a different account. If this applies to you, pay attention. Starting off at a young age will set you up in the future. Even if you’re working at your very first job, you can start taking the necessary steps. Apply the rules above and your savings will grow faster than you could ever anticipate. 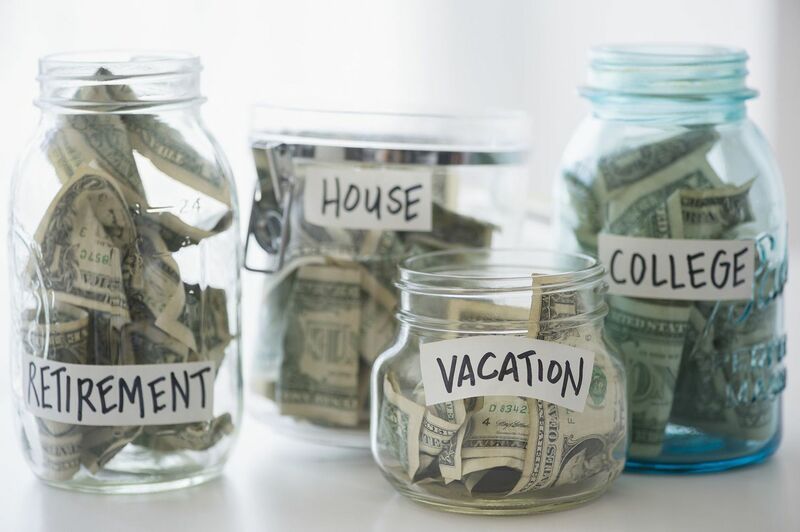 By following these rules, you can save, pay off debt Whether your goal is to save for a home or prepare for the future, it’s all possible with a little hard work and knowledge on your side.